I always enjoy movies and the different looks they achieve. It’s great inspiration for photography and the Sin City movies (based on the comic I know) have a distinct look. Some people scoff at selective coloring but I think in the right situation it can work quite well. In fact dare I say most non-photographers love the look. Check out more of Minneapolis in the gallery. 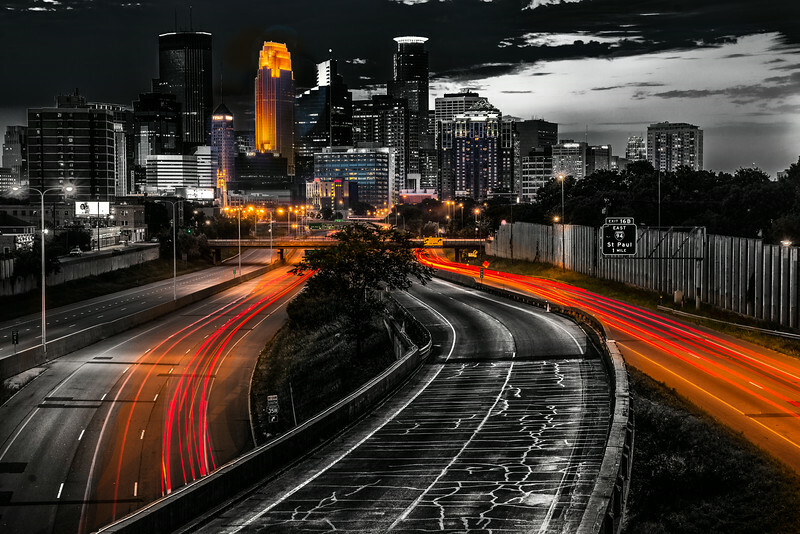 A different take on a classic view of Minneapolis. What do you guys think of selective coloring in general? Selective color can work well, like it does in this shot.